City audio tour. Main terms. 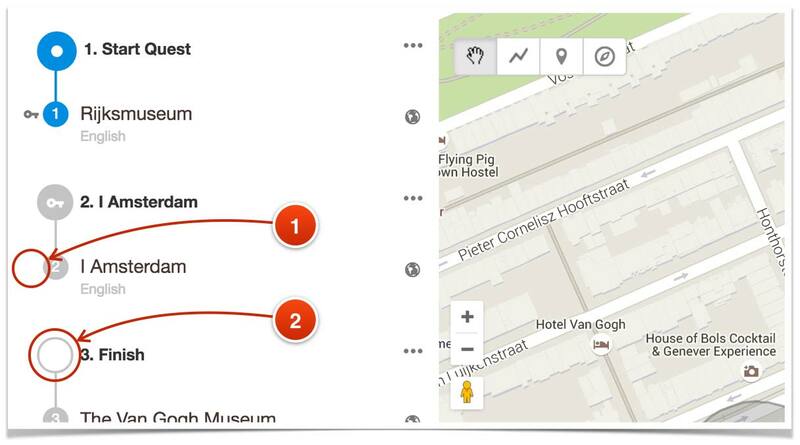 Creating a city audio tour. Main steps. Prepare to view the tour. Passcode. The quest. Basic operations to create it. The Quest is a pretty complicated structure, and people often make errors when preparing one. You can use the checking tool to check the Quest for errors. 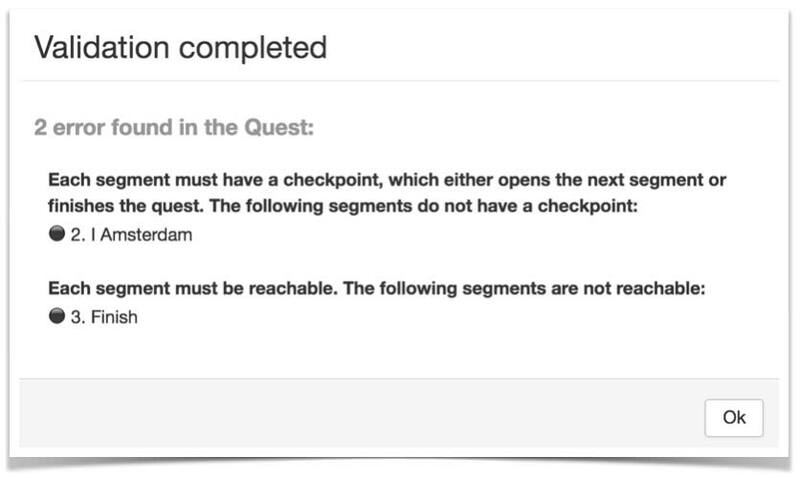 From the main Quest window, click “Check”, and select “Validate quest”. The system will conduct a check and issue a report. 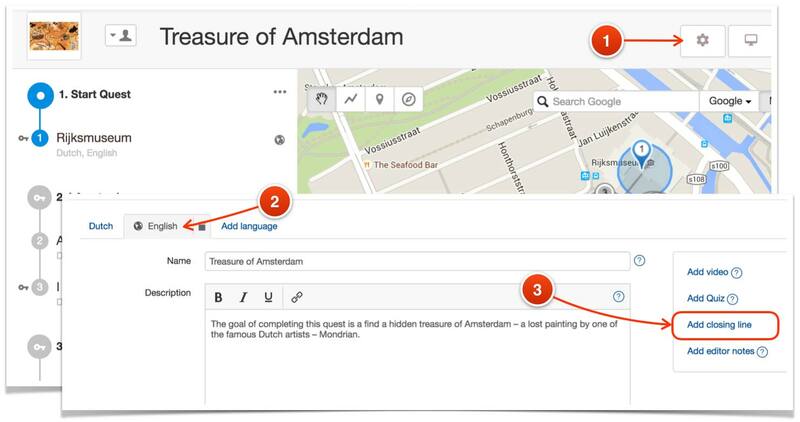 If the quest contains errors, each error will be described in detail. Below, we will review the main error types and ways to eliminate them. 1. 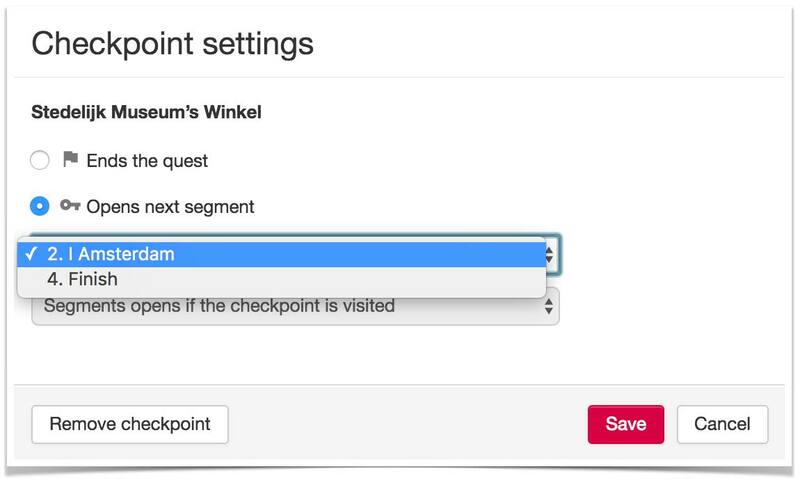 The segment lacks a check point. Violation of the mandatory requirement “Each segment must have a check point”. Violation of the mandatory requirement “Each segment must be accessible”. In this case, the error is caused by the lack of a check point. The check point contains the requirements for opening the next segment. These requirements can be either giving a correct answer to a quiz question or visiting a given tourist attraction. In the problematic segment, none of the items has the checkpoint’s characteristic mark (flag or check box). The unopenable segment will lack a key symbol on the icon. 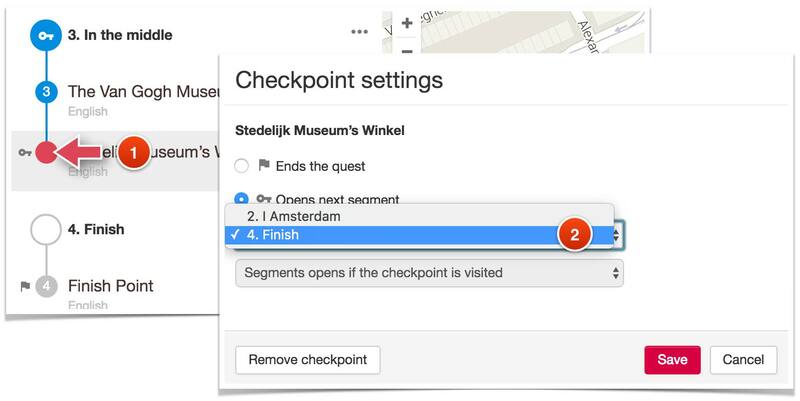 Click on the future check point’s icon. The segment lacks a check point. The segment is inaccessible. That is, it cannot be opened in the mobile app. Remove the unneeded segment. To do this, open the segment menu and select the “Remove” command. The window with the error notification will contain not just text but also an illustration which will show the created loop marked in red. Open the check point properties of the last of the red-colored segments (1), and indicate the next segment in the list (2). In our case, this is the checkpoint of segment “3. In the middle”. Another possible error is missing trigger zone with one or more Quest items. This usually happens when the item’s trigger zone is accidentally removed. You need to add a trigger zone to the item which does not have one. Using the name indicated in the error notification, find the item in the list and mark its line (1). This item will be marked on the map as well. Select the trigger-zone creation tool. 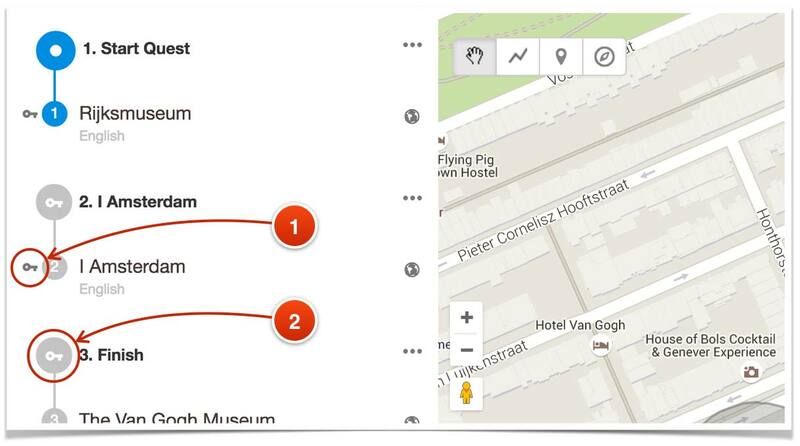 Click the spot on the map where the new trigger zone will be. If necessary, correct the trigger zone’s size and location and save the changes. 5. The visibility is not set at “Everyone”. If you do not change the default visibility settings when creating a Quest, such errors will not occur. They emerge only if the Quest items or their language versions are set up manually. Checking the quest for errors is accompanied by checking the visibility of all Quest items. The visibility of all Quest items and their stories (language versions) should be set to “Everyone”. 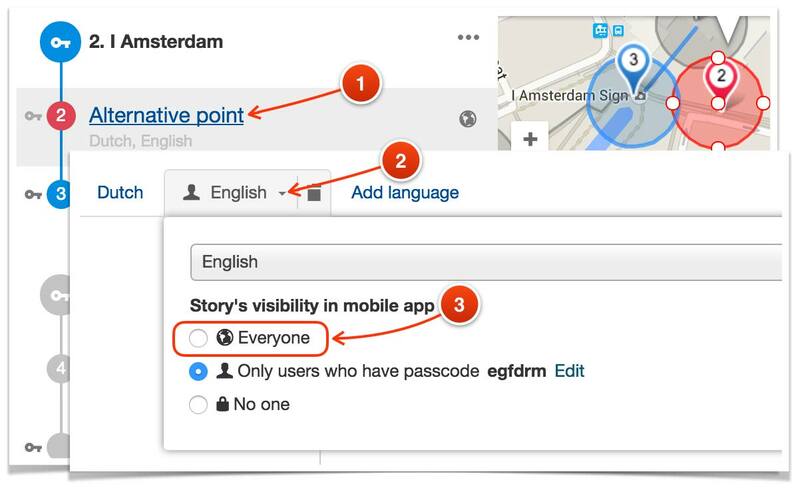 At the same time, the visibility of the quest itself may be set to “Visible by passcode” or “Invisible to all”. You need to find the item specified in the error notification and set its visibility to “Everyone”. You need to find the item specified in the error notification, open its properties, and set its visibility to “Everyone”. Sometimes, such an error results from translating the Quest in other languages. During the checking process, the system makes sure the main Quest structure does not get damaged. 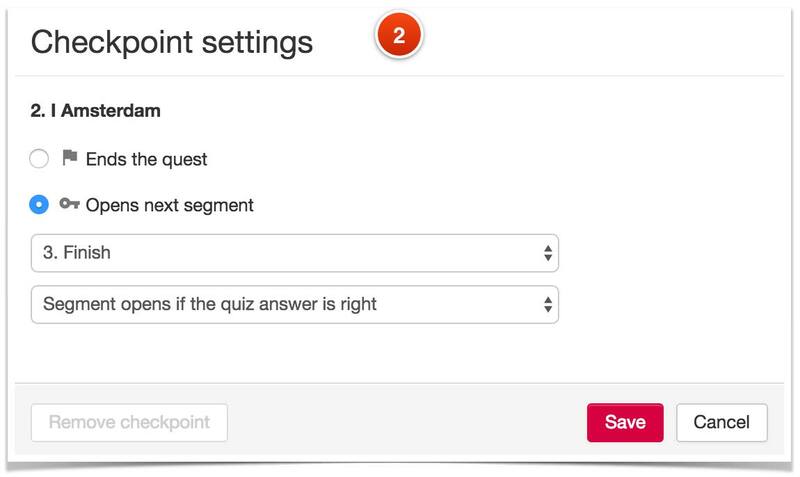 If the check point uses the quiz as a key to opening the next segment, the quiz should be included in all the check point languages. Open the language tab indicated in the error notification. 7. There is no item description in one of the Quest languages. Another error which may emerge when translating the Quest in several languages is that some items may remain untranslated. The system monitors for such errors. Create and complete the language version of the item specified in the error notification. 8. There is no Closing Line in one of the Quest languages. 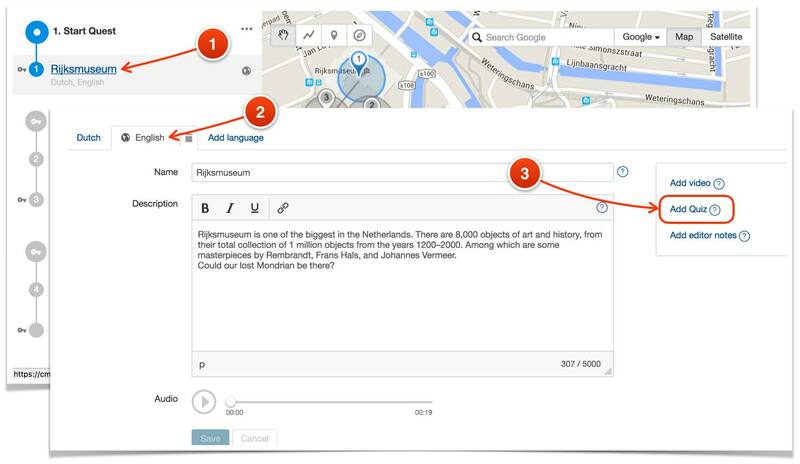 When translating a Quest in other languages, it is possible to forget about the Closing Line. The quest closing line exists for some languages, therefore it needs be present in all published languages. 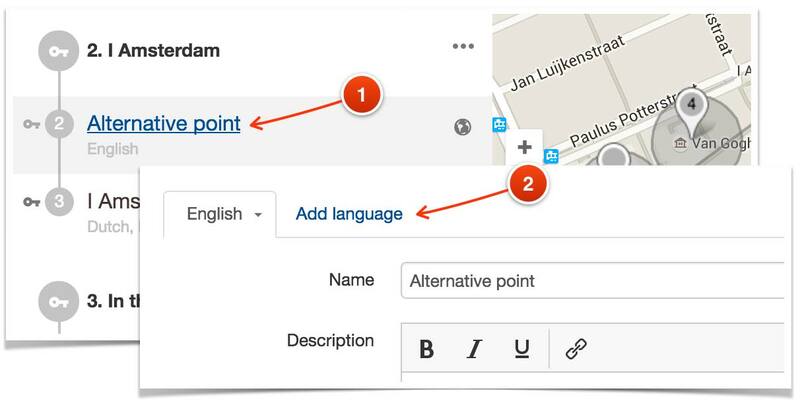 You need to add the Closing Line to the Quest’s language version specified in the error notification. Open the tab for the specified language. If you have encountered problems not described in this article, contact our Support Team.